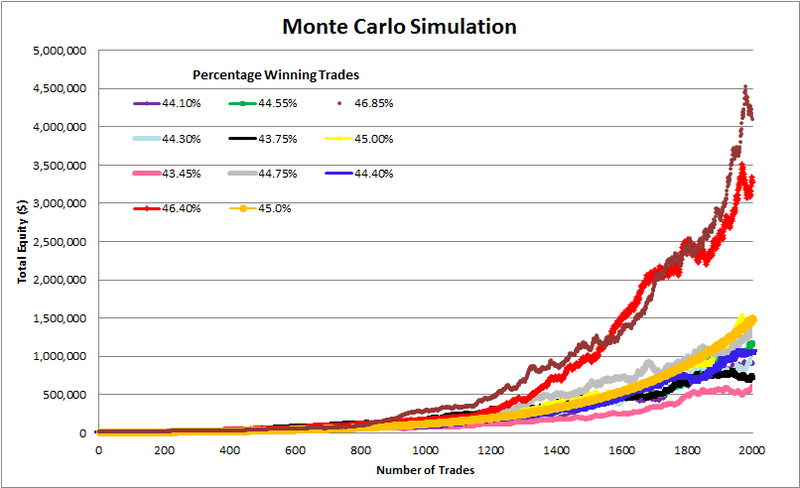 Monte Carlo simulation software will help you become a better trader. 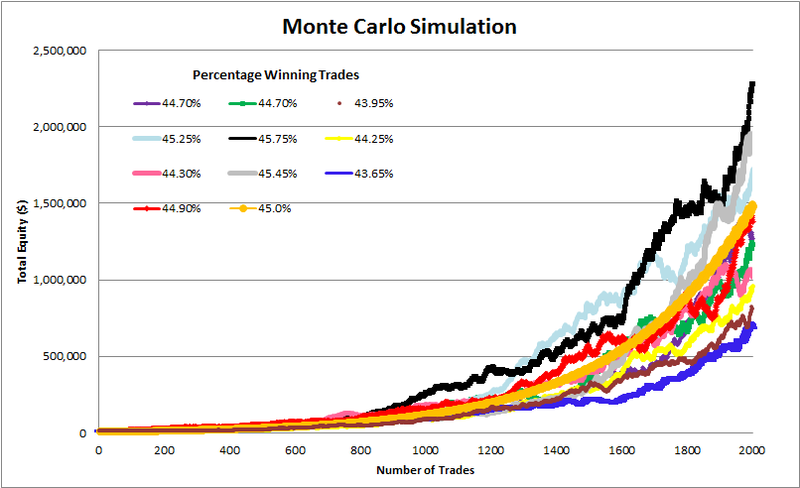 For most people, Monte Carlo simulation has always been sort of a black box. People use it for a variety of purposes such as to determine the probability that something will happen. Yet it can provide you with two numbers which just might make a difference to your trading. Have you ever thought about applying it in your trading? The two number which I think are critical for you to know are how many losses in a row you can handle and how many losses in a row you can expect your system to deliver. Knowing these numbers can be critical to designing your trading system. You may be wasting valuable time when you are unaware of the ranges your system could provide. Worse, you could abandon a perfectly good system, which you spent months creating, simply because you did not realize 5 losses in a row were highly probable. 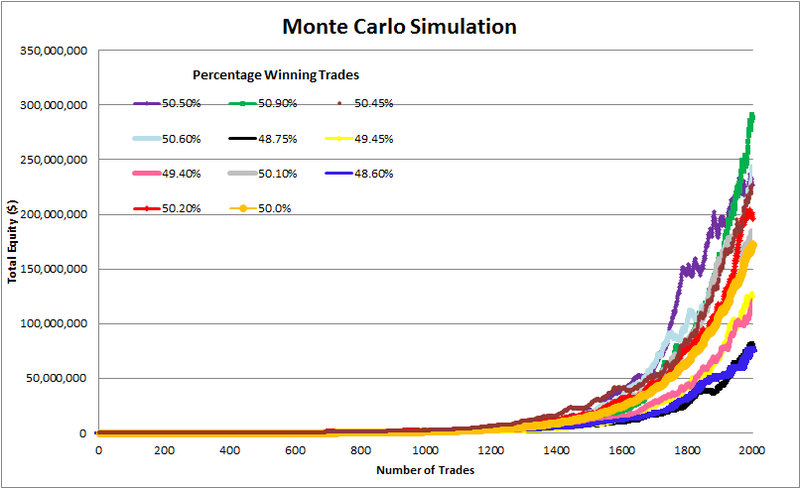 The video below will give you a brief run through of the Monte Carlo Simulator for Traders. For instance, many times traders state that they want a system which will win 50% of the time and the winners should be twice what your losers are. This sounds great in theory. However, do you understand what these numbers really mean? Using the Monte Carlo simulation tool, the graph below illustrates the equity curve of this system. It started with $10,000, initially risked $100 per trade (1% of equity) which means the initial winning trade made $200 or lost $100. After 2000 trades, the final theoretical equity is $171,935,818 (orange curve) provided you continue to risk 1% of your equity. Looking at the final number, you might think this is ridiculous, yet the final equity number is relatively easy to calculate in Excel. By alternating a win and a loss 2000 times using the same win/loss criteria as above, a final equity of $171,935,818 is obtained. Over a 30 year period this is the equivalent of getting about 38.5% on your money. I have heard of people getting these types of returns. For instance in Van Tharp's book "Trade Your Way to Financial Freedom" he talks about one of his Super Traders who consistently generated returns of over 100%. However consider this: Warren Buffet's long term average is around 25% and long term record for the best Mutual Fund managers is around 20 to 25%. It is apparent that some people are able to generate these types of returns. When more than one person can do something, then there is a higher probability that you can do it as well. The question is - Are you willing to do what it takes to get these types of returns? A more realistic set of returns are shown below. In this case, the winning percentage was 45% with winners being 1.8x that of losers. Here, after 2000 trades, the theoretical amount (orange curve) is $1,484,958. Calculating the theoretical final equity can still be done because from Ralph Vince's book "The handbook of Portfolio Mathematics" the sequence of trades has no bearing on the final outcome. What is altered by the win/loss sequence is the size of the drawdowns and number of losses in a row. The win/loss sequence is what tends to screw up a lot of traders. I know that until I accepted losing, I had a difficult time sticking to any one system. At one time in my StockFetcher account I had 86 scans. I was addicted to building scans instead of focusing on learning how to trade just a few well. After I built the Monte Carlo Simulator for Traders Excel program I began to understand how many losses I should expect given a specific win/loss ratio. Knowing this I then figured out what type of system I needed to satisfy my psychology. This then allowed me to stick with my systems instead of always building new ones. You may find that understanding what your trading system can and cannot deliver beneficial to your trading. If so, you can get a copy of the Monte Carlo Simulator for Traders Excel program with accompaning PDF support manual for $20. The link below will take you to Paypal which will then redirect you back to this site where you can download the Excel program and PDF manual. In the Monte Carlo Simulation program there are 10 simulated equity curves and one theoretical equity curve. The orange line is the theoretical equity curve and grows by a set amount. The others lines are the results of a Monte Carlo simulation in which the average winning percentage is around 45%. As in the real world, this 45% average will ultimately come. However, it may take 20,000 trades to appear. The variability in returns is the result of the unknown return you will get over the next 2000 trades. In the above equity graph, the lowest return was 43.6% while the highest was 45.75%. Note, in this example of 2000 trades, improving your probability of a win from 43.5 to 45.75% will add about $1,600,000 to your account. In this Excel based program, the Monte Carlo simulation curves can easily be recalculated to generate ten totally different curves (see below). The theoretical curve will stay the same. In this case, the spread is roughly from $500,000 to $4,000,000 which were obtained from winning 43.45% and 46.85% respectively. I realize that is an incredible difference for a system which is suppose to deliver 45% wins over 2000 trades. That is the reality of the markets, you just don't know what each day, week, month or year will bring. My guess is that most people would rather not know what their system returns. You may find this strange, however, I believe most people don't take 100 % responsibility for their lives or trading which would mean that most people don't trade consistently and therefore, are unlikely to know what type of returns they get. You, hopefully are willing to take 100% responsibility for your trading and want to be aware of the variability your system will deliver. 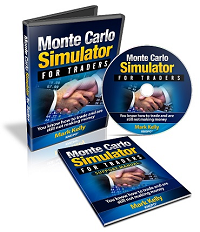 Having your own copy of the Monte Carlo Simulator for Traders will give you a good idea on where your trading system needs to be to let you sleep at night. 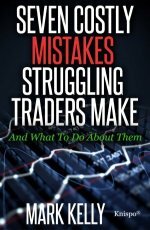 for Traders Having troubles sticking with your trading system? Do you move from system to system looking for the one system that will bring you riches? Perhaps you already have it and tossed it aside when it went into a down period. Using this Excel based program will show you what you can expect out of your trading system once you know the % wins and win/loss ratio. Stop wasting your time searching for the perfect system (which does not exist) and start trading.